There are plenty of stars that while I don't like, I can at least see why others do (e.g., Shin Mina, Jang Dong Gun). And then there are those stars whose mass appeal I don't comprehend at all. This isn't meant to bash them (well, except in good humor), but more of a fun post to discuss differences in people's perceptions. I've watched the guy in IRIS and his famed music video with Kim Ha Neul, and no matter how hard I try, I don't find him even remotely appealing. Something about that heavy-set, thug-like jaw and snaky eyes. He also strikes me as a greasy, self-absorbed creep in real life, especially from all the stories about what happened between him and his exes. Why again is he supposedly a top star in Korea? I debated whether to include him, because I understand fans who like him for his talent and good comic timing. BUT as a romantic lead he's a total fail for me (unless it's played as a parody, e.g. Salaryman). It's a combination of shortness, bug-eyes, and terrible skin. He was one of the reasons I dropped Giant; I just didn't find him cool or appealing despite all the fight scenes and romantic moments they tried to stick him and Park Jin Hee in. I don't mean to be discriminating, but height and build are major factors for actors and the lack of both results in a significant visual loss onscreen. Good actor, but not someone I care to see romancing my favorite actresses. I've seen him in Dr. Champ, parts of Mawang, Cyrano, and Introduction to Architecture. Dr. Champ was the only one I found him even remotely likeable in, and he was vastly overshadowed by Jung Gyu Woon. His performances have all showcased his two most popular expressions - 1) dull boredom and 2) angry sneering. Seriously, can the man even act happy? He's another case of complete physical lack of appeal for me - I don't understand fans who find his moody, squinty-eyed look appealing. He's not bad, but I don't get the fanfare around him. I've seen him in A Gentleman's Dignity and the guest role in To the Beautiful You. Both were rather lacking performances, and his red-rimmed eyes were kind of creepy in TTBY. Mediocre acting + mediocre looks. Who the hell saw him in In Time With You and then decided to make him a male lead in other dramas? Ding Li Wei was easily one of the most despicable second-leads in drama history, with his cocky attitude, his massive turn-off back tattoo, and his domineering possessiveness. I find Sunny unattractive in every possible way, which is saying a lot considering he had decent chemistry with Ariel. Taiwan seems unnaturally fond of its Taiwanese-American stars (e.g. him and Vanness), but I don't agree with the idea of awarding leading roles on the basis of a guy's ability to spew out English. His rod-like build and long face vaguely remind me of a preying mantis. I don't like small-eyed, long-faced guys. 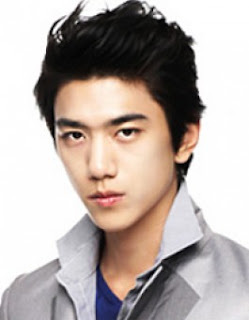 It's a personal preference, and unfortunately one that Sung Joon completely embodies. It doesn't help that the only role I remember him in was Lie to Me, where he was also a pathetic creeper. I'm sure he's improved in his other roles, but 1) he looks too old for me to buy him as a high-schooler in Flower Boy Band and 2) he's dull as a pile of bricks in roles like Gon in Gu Family Book. So I don't think I'll ever be boarding his train. A borderline case. I've only watched him in the opening acts of two dramas - I Need Romance 2012 and Nine. Both ended up being dull to the point where I couldn't bear the thought of sitting through more. It might be mostly due to bad writing and characters, but I have to pin some of the blame on a painfully un-charismatic male lead. He's a good-looking dude, but his acting and voice are flat to the point of snore-inducing, especially when he's forced to churn out lines like a speed-talking maniac. I hold him as evidence that it takes more than a pretty face to warm up the screen. I've become more picky with my leading men through the years, and it takes more than mere looks or subpar acting to please me now. Of course, I do have my physical biases, and it's clear from this exercise that I'm not a fan of creeper faces (but there are always exceptions, and if the talent blows me away I can certainly be won over). Of course, acting is all about getting that breakthrough role that makes everyone love you, and I certainly remain open to accepting these men if I see it happen. Out of curiosity, are there any stars you find hard to swallow? And if you disagree with me on any of the above, what role(s) turned you into a fan? Please, pretty please post a picture of yourself....you must be the most beautiful person on earth! i want to see your picture pleaseeee.....bashing all these people for their God-given looks, your looks must be really superior....pleaseeeeeeeeee post your beautiful picture! I've never gotten the appeal of Uhm Tae Woong either. Maybe it's that older masculine look, but unfortunately I have him memorized from that horrid role in Delightful Girl, and I've never recovered since then. 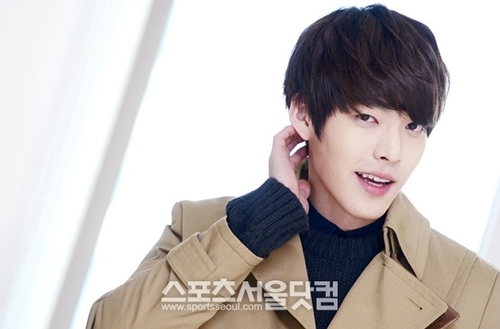 As for Kim Woo Bin.. I guess I never thought about it until I overhyped him to my mom, and she took one look and said.. "He's considered good looking??" and I thought.. Oh.. He is kind of weird looking. Haha. I just happen to like him from School. I went back recently to watch a couple more episodes of School, and have started to see Kim Woo Bin's appeal. I think he's much better at playing quiet/hurt rather than cocky. Not to mention, his chemistry with Lee Jong Seok is just perfect. Unfortunately, I don't think this fondness is going to spread to Heirs, which I fear will take him back to playing gruff second-leads.